Most consumers in today’s marketplace choose round brilliant-cut diamonds fashioned to meet modern concepts of beauty. These sparkling gems represent the collective talents of generations of skilled cutters over more than six centuries. 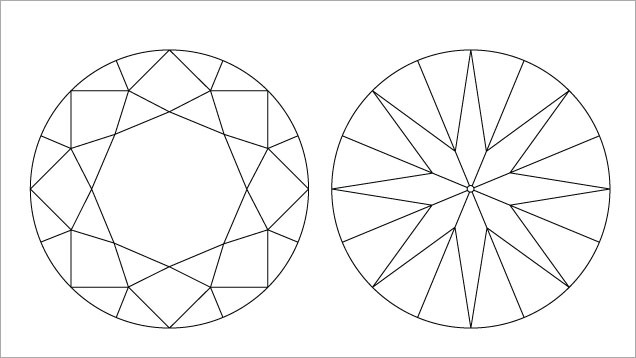 As diamond cuts evolved into today’s 57- or 58-facet round brilliants, styles progressed through many stages. By 1750, when the brilliant cut had developed into a style with a circular face-up outline, it had passed through many variations in facet size and proportions. These included table size, crown height, length of the lower half facets, total depth, and culet size. 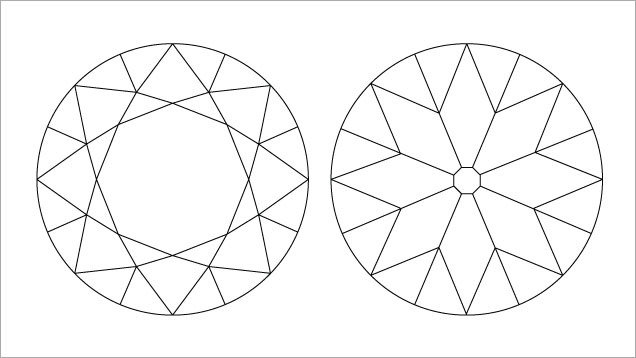 This progression has resulted in diamonds from different periods having quite distinct appearances. 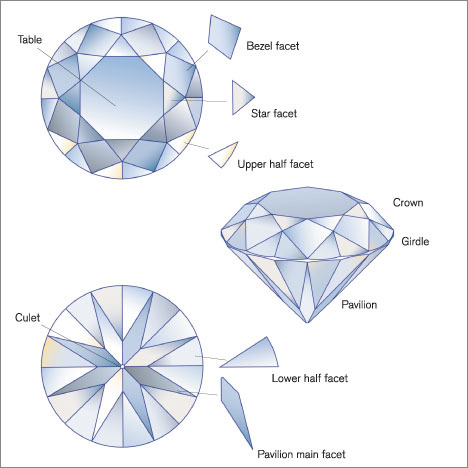 Over time, table facets have become larger, culets smaller, and star facets and lower half facets longer. If you rock or tilt one of the older-style gems, you’ll see a different face-up pattern of light and dark than you would with a contemporary brilliant-cut. Many beautiful older diamonds present a conundrum for diamond-grading laboratories—including GIA's—because their proportions diverge from contemporary conventions. This makes it difficult to judge them against today’s aesthetic. In spite of this, there is a market for their antique beauty. In fact, some consumers cherish their different interplay with light. 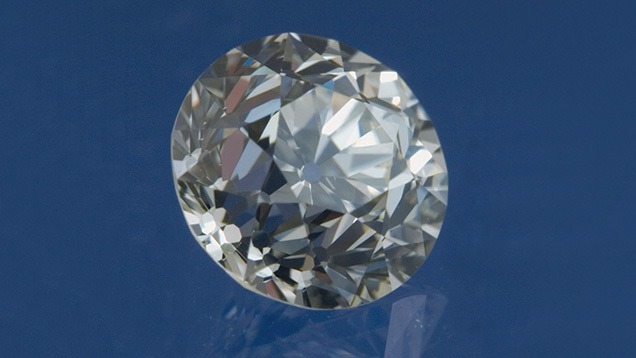 Compared to a modern brilliant, older gems typically show larger face-up patterns of light and dark—what might be described as a “checkerboard” or “blocky” pattern. A modern brilliant can display a tighter mosaic of light and dark that might be described as “splintery” by those who prefer older cutting styles. Recent high prices for precious metals have caused many pieces containing older-style diamonds to be broken up, releasing more of these beautiful gems into the market and increasing appreciation for their historic nature. This article explains GIA’s approach to describing these beautiful older-style brilliant-cut diamonds. In 2005, GIA introduced a cut-grading system for unmodified round brilliant cut diamonds. The name “unmodified round brilliant” was applied to a symmetrical round cut with a regular array of 58 facets, cut to modern standards. The system was the culmination of years of research that included the results of preference testing among a wide variety of groups, including trade professionals and consumers. GIA designed the system to assess the design quality and craftsmanship of diamonds cut in the standard round brilliant style when compared to modern preferences. The system’s grades are based on modern-day conventions and assess the proportions that yield the best combination of brightness, fire, scintillation, and pattern. There are five grades: Excellent, Very Good, Good, Fair, and Poor. The old European cut was an early evolutionary stage in the progression toward the modern round brilliant. 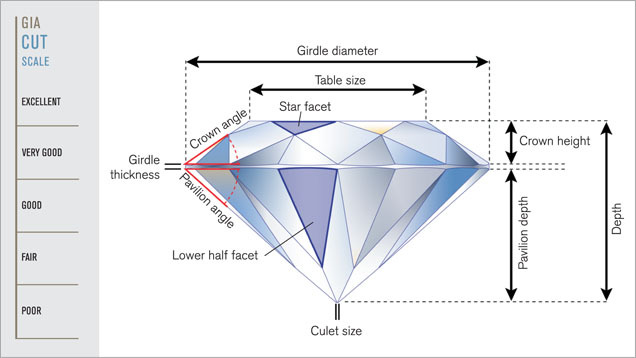 In general, trade professionals characterize old European cuts as having small table facets, heavy crowns, and overall “deep” or “steep” proportions. 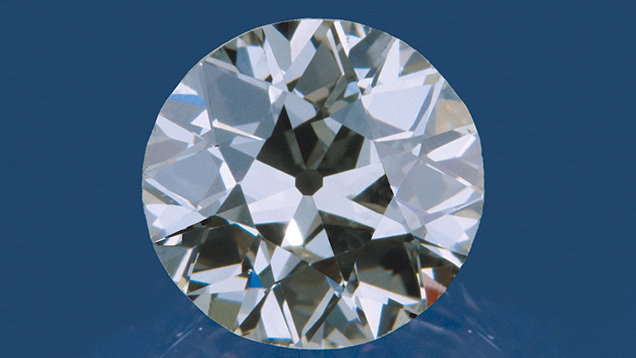 Initially, GIA allowed only one exception—the old European cut—into its cut-grading system. This accommodated the distinctive proportions of diamonds cut in this classic style. Its appearance is associated with a time that predates expectations of conformity with the appearance of the modern-day round brilliant. 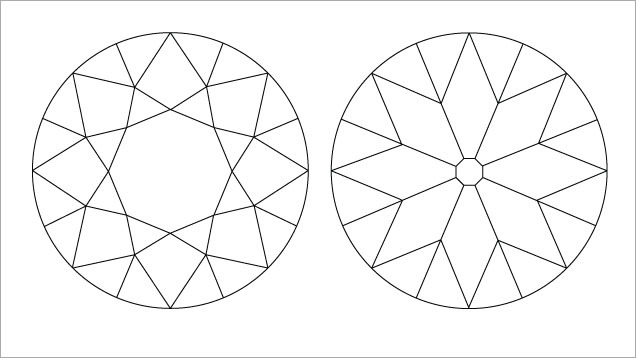 As a result, GIA does not apply a cut grade to diamonds cut in the old European style. These parameters are derived from historical definitions of the old European cutting style, staff observations, and discussions with trade professionals. They ensure that these diamonds are not judged by standards that they were never fashioned to meet, and from which they would likely receive a “Fair” or “Poor” cut grade. Dealers marketing the unique appearance of these diamonds have long contended that their stones are unduly penalized by the application of modern cut-grade criteria. 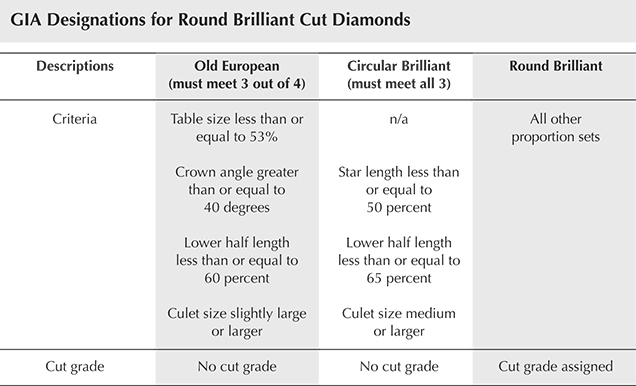 In practice, if a diamond meets three out of the four criteria, it will still receive the old European cut designation on a GIA grading report. The report simply provides the gem’s measurements and grades for color and clarity. This is because GIA recognizes that, centuries ago, cutters working with natural material tried to retain as much of the original weight of the crystal as possible, so proportions often differed wildly. The old European cut was by no means the last step in the journey toward fully modern round brilliants. As cutters continued to experiment with proportions, there were many incremental steps between the old European style and the modern round brilliant. With growing interest in the allure of these historic cutting styles, GIA receives many diamonds in styles close to—but not quite meeting—old European criteria. Expectations for them are quite different from contemporary expectations for a modern round brilliant. This drove GIA’s decision to add a new description to address diamonds that fall outside the existing categories of both old European and modern round brilliant. GIA sought to address older-style diamonds that aren’t strictly Old European, but also aren’t cut to meet modern standards. Previously, GIA graders had to decide whether to call a stone a round brilliant and grade it according to contemporary standards, or to call it an old European cut and simply record color and clarity without a cut grade. The GIA study uncovered a number of stones that were not classic old European cuts, but that weren’t modern round brilliants, either. They also looked neither like well cut nor poorly cut modern round brilliants. 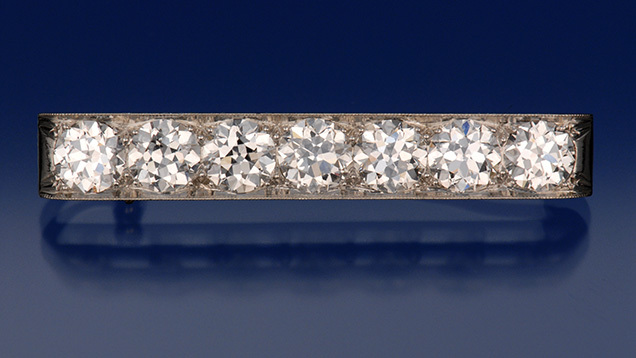 In general, the diamonds resembled the old European cut style, but they didn’t meet GIA’s required proportion parameters for that description. Although culets were often slightly large or larger, a number of examples had medium culets. Table facet sizes ranged from 43 to 62 percent, which made this parameter difficult to use as a standard for a new category. The two characteristics that most of the stones shared were shorter lower half and shorter star facets. The new description used on GIA reports for these diamonds is “circular brilliant.” All three criteria must apply for the diamond to be designated as a circular brilliant on the GIA grading report. 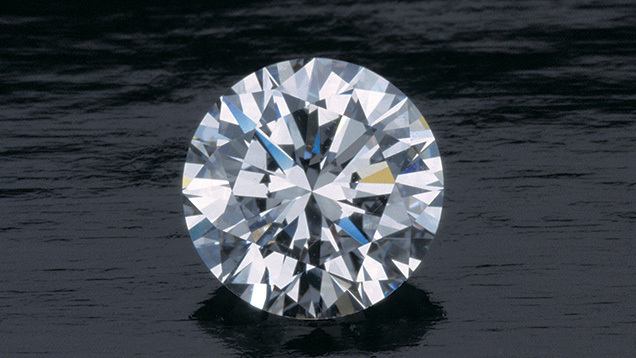 This designation acknowledges that the diamond is not a modern-day round brilliant, suggests a description for rounds of earlier times, and keeps the historic old European cut definition unaltered. Prior to the new circular brilliant designation, GIA graded any diamond outside these parameters as though it was a modern brilliant. As with the old European cut, reports for diamonds that fall into this new category aren’t assigned a cut grade. 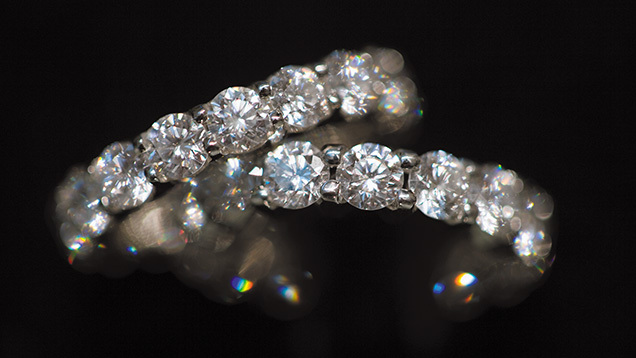 These diamonds evoke a bygone romantic era. Their shorter lower halves contribute to a different pattern of light and dark than that seen in an equivalent-size modern round brilliant cut, and that some consumers cherish. By establishing the circular brilliant term and the parameters that help define it, GIA has recognized the unique nature of these antique diamonds. Duncan Pay is editor-in-chief of Gems & Gemology at GIA content development in Carlsbad, California. The author would like to thank Al Gilbertson, the project manager for cut research at GIA Carlsbad, for reviewing this article and providing the animations of the various brilliant cuts, and Nancy Powers, digital media specialist at GIA content development in Carlsbad, California for editing the animations into a video. Colored diamonds are hot. Get in on the excitement with the Graduate Diamonds diploma program.